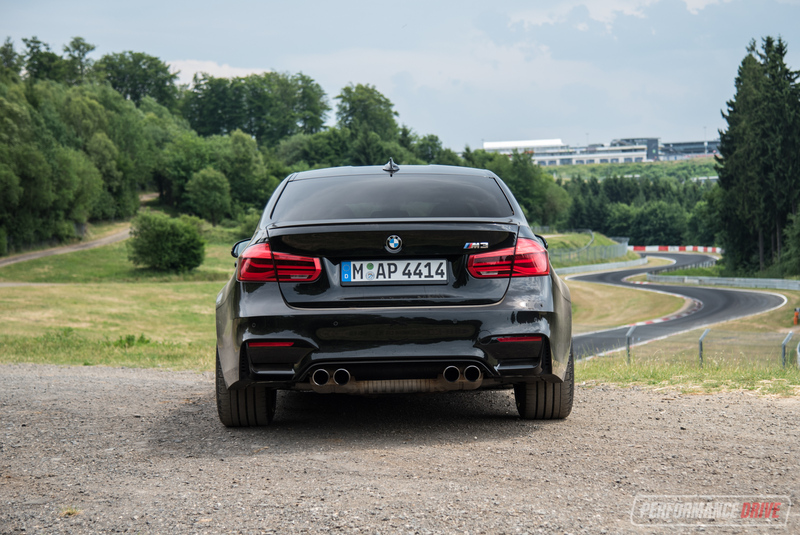 It’s a nameplate that pioneered the subtle-but-serious performance sedan segment, and one that is synonymous with club motorsport and track day fun. 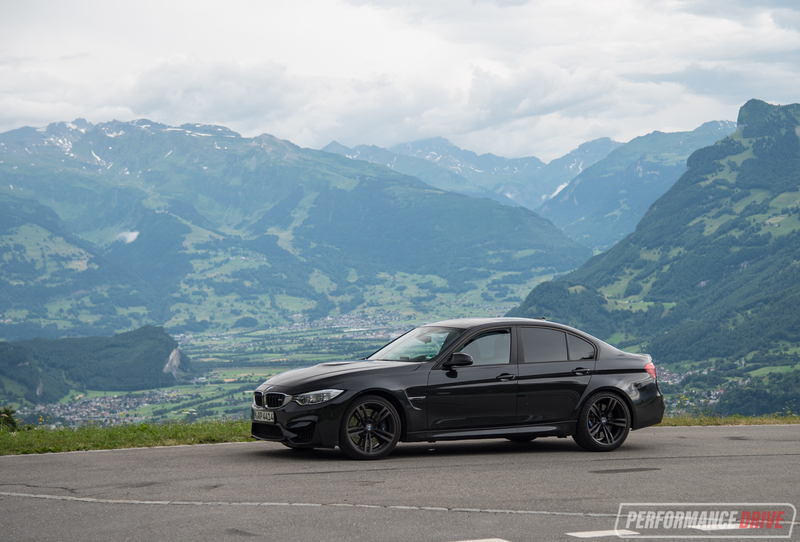 Does the 2017 BMW M3 live up to its heritage and still set a benchmark for rivals to reach? For this review we’ve sampled the pre-facelifted LCI 2, so it misses out on the higher-output engine tune offered in the base Pure edition. 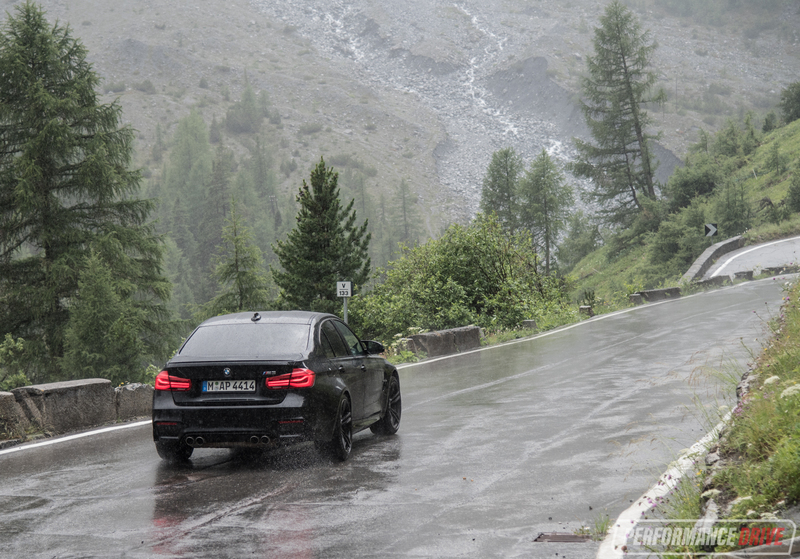 But to make up for that we’re testing it in Europe, on Germany’s unrestricted autobahns, the Nurburgring, and down to Italy for hundreds of turns on the famous Stelvio Pass. 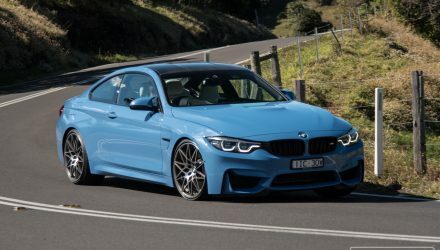 In Australia the M3 price starts from $129,900 for the base Pure variant, and $139,900 for the regular version. These prices aren’t too bad considering its nearest competitor, the Mercedes-AMG C 63, starts from $157,211. Intriguingly, both manual and seven-speed dual-clutch automatic are offered, and with no price difference. We’re testing the regular version with very few options, with the DCT automatic. We should probably point out at this point this car hasn’t been organised through BMW’s press fleet – we don’t think BMW would be too happy for us to test a press car around the Nurburgring at full speed. However, it is new with around 8000km on the clock, giving us a great real-world test opportunity. 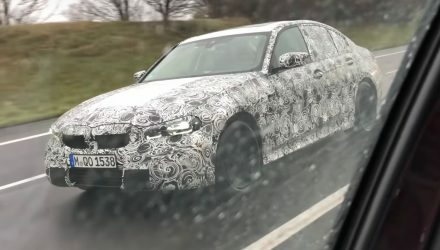 Being a former M3 owner myself it is very easy to see the lineage in the latest model. You’re faced with the two main gauges in the instrument cluster, with trip information lower down, and a water temp gauge and fuel gauge on the perimeter of the cluster. This layout has been used for decades. So for any repeat M3 buyer it’s all very familiar territory. For newcomers, it’s pretty basic. 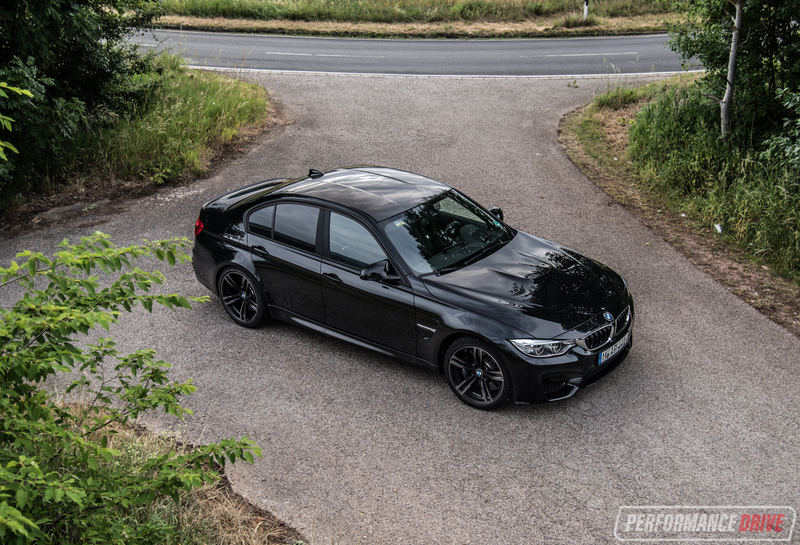 The M3 is primarily about driving so it can seem to lack speciality, with no real design flair or dramatic distinction compared with the regular 3 Series. 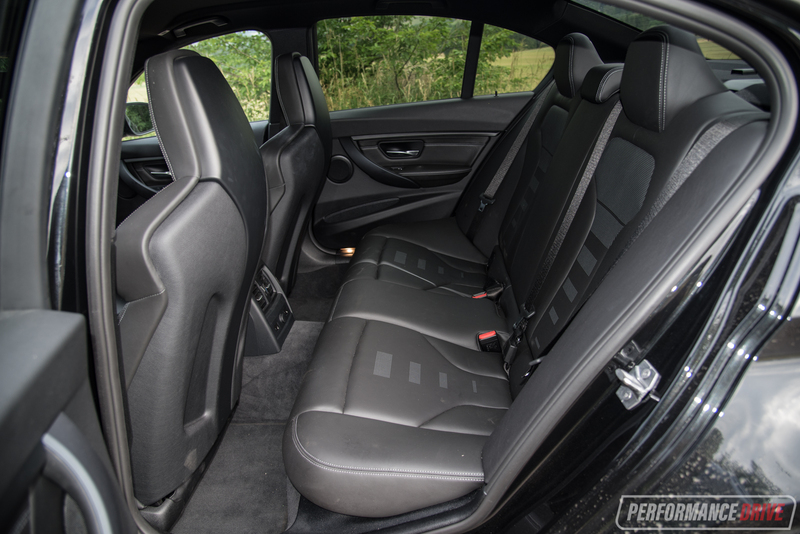 Standing in as the flagship 3 Series means it is quite lavishly appointed though, with quality leather wrapping the comfy-yet-supportive sports seats. 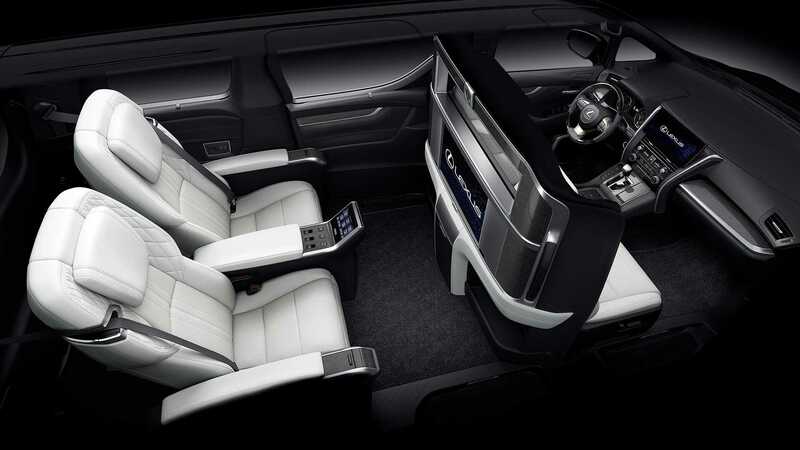 Both the passenger and driver can adjust how much the seats hug in at the hip area, which is great as some people are fat and some are thin; we can’t figure out why more manufactures aren’t offering this on sports models. There’s also a smattering of contrast stitching for the console and BMW M stitching for the steering wheel, and of course a comprehensive infotainment screen. The unit is now running BMW’s iDrive 6 program, which has a proper home menu with apps laid out in a tile design. This replaces the old list setup and makes it easier to jump straight in to what you’re after. It’s also offers touch screen functionality to improve versatility. 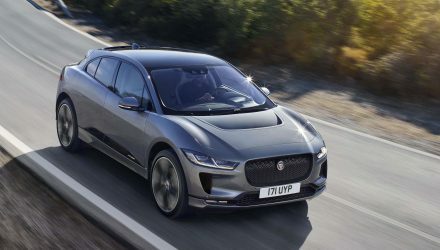 There’s full connectivity with interface and phone message readout capability, along with digital radio and a nine-speaker stereo. It’s not the best stereo we’ve heard, but you can option for a more premium 16-speaker unit. Passenger comfort and space is respectable for the class, offering pretty much the same space as the regular 3 Series. The bulkier sports seats in the front do sap some rear seat space but not as much as some seats we’ve seen in other performance cars. The transmission tunnel is also identical to the regular 3er. In our opinion, the 3 Series offers about average rear legroom and headroom for the class, but with thin (and light) doors and unobtrusive seat placement, it is an airy and uncluttered layout in here. 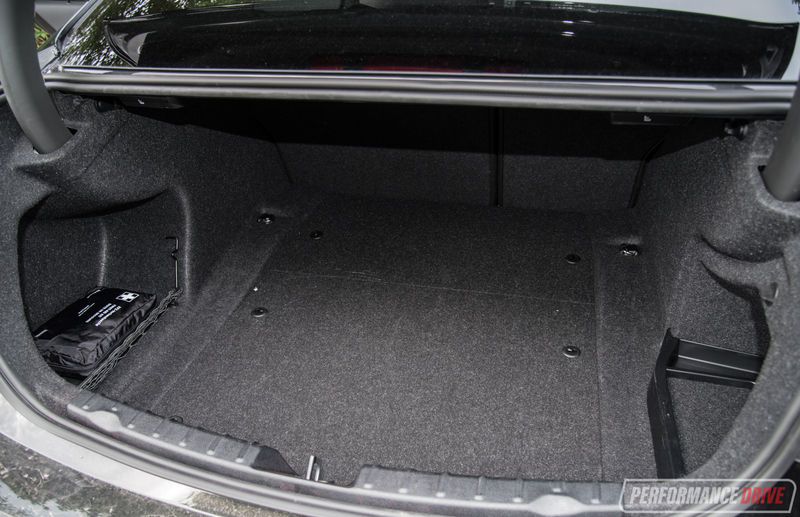 Boot space is rated at 480 litres matching the class standards. 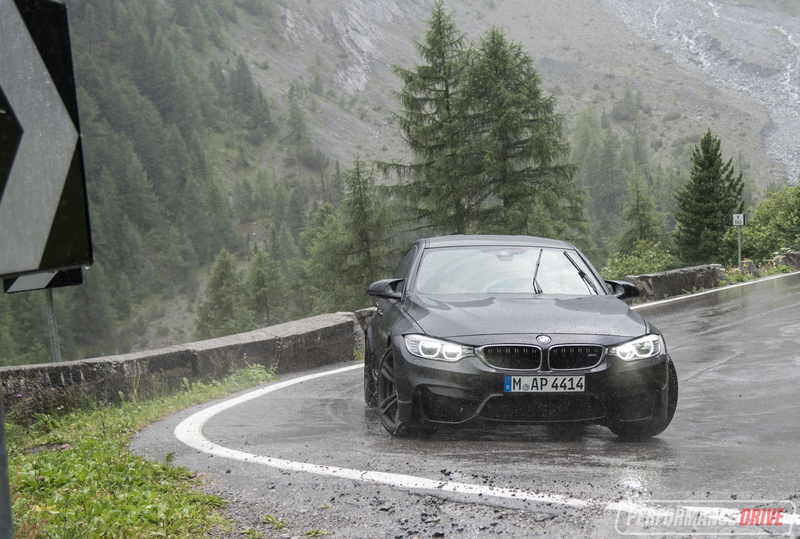 So you’ve probably heard plenty of good things about the M3. 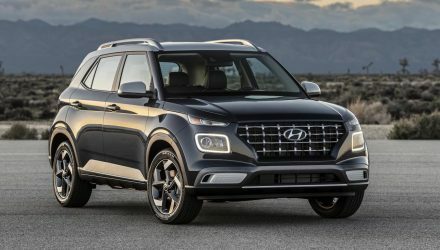 Why does it draw so much respect from driving fans? Well, it’s all in the engineering and components. 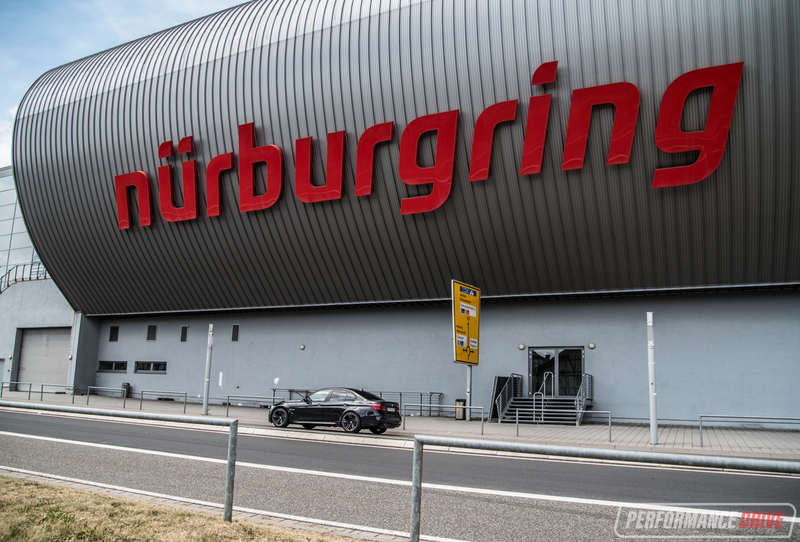 BMW M has a workshop set up right next to the Nurburgring – in Nurburg, the town, actually. 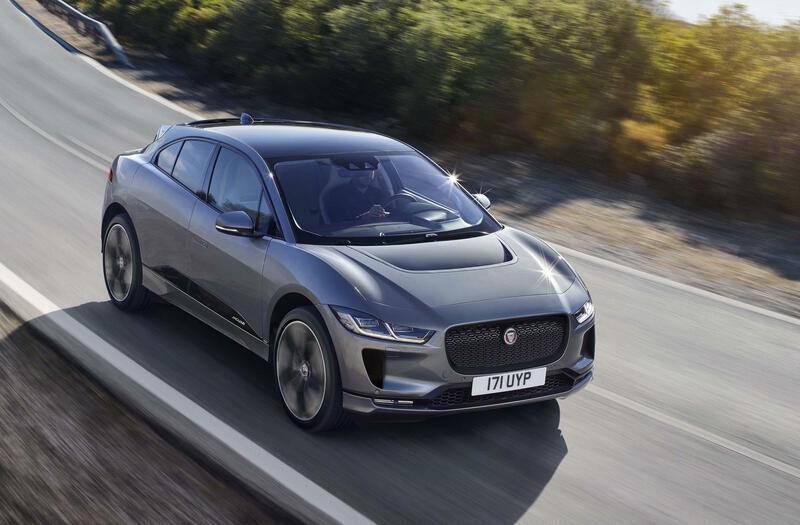 And it tests its cars extensively on the track nextdoor and has done so for decades. Aside from the simple bragging rights of this, it’s the data the company can collect that matters most. It constantly and painstakingly benchmarks every component and every setting until it’s perfect. And then again for the next model. And again. And it has done this since the first M3 was born back in 1985, and well before that with the 3 Series. 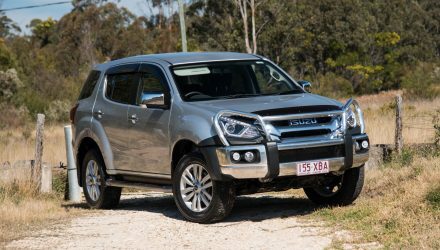 It’s difficult for other carmakers, particularly newcomers to this vehicle class, to mimic this level of experience. You only need to poke you head under the car to see some evidence of the attention to engineering detail. There are many forged aluminium suspension arms and sturdy bracing to help with rigidity, along with aerodynamically-crafted carvings and guides to assist with airflow efficiency and downforce. And you can feel it all doing its job. Out on the autobahn we ran into the car’s electronic speed limiter a number of times, and it remained incredibly stable and confident. The speed is supposed to be cut off at 250km/h (like most German vehicles) but it stopped at 266-267km/h for us. 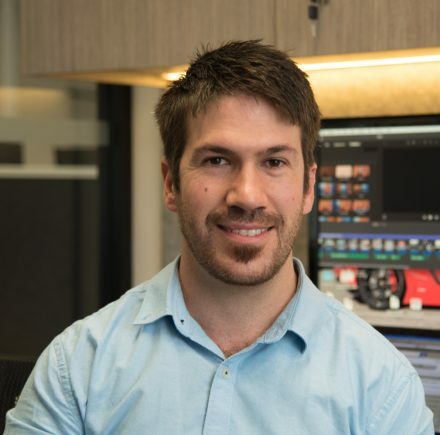 It’s more of a soft speed limiter – cutting off acceleration at these speeds can have a huge impact on the vehicle’s direction due to weight shift. Around corners the M3 feels like a connected part of your body. 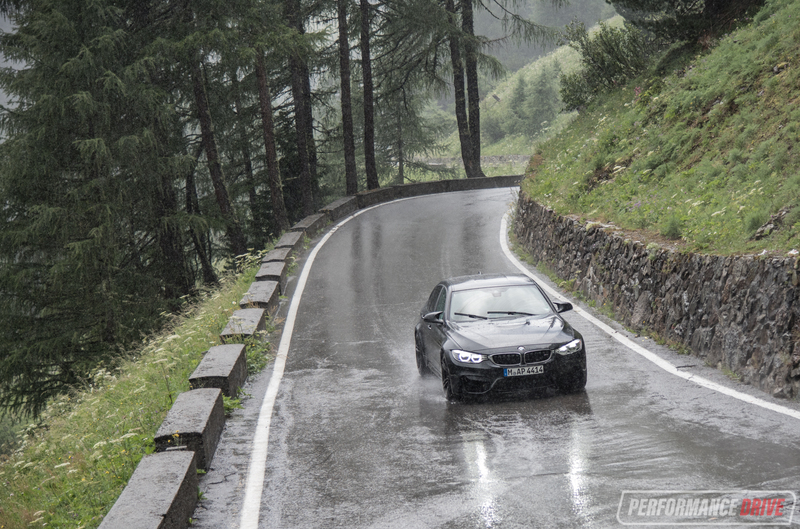 It feels at home, with sharp directional changes doing little to upset the car’s balance. Under light or no throttle you can throw it between lefts and rights all day and you won’t experience any unwanted understeer or oversteer. Instead, you’ll probably be sick from the high g-force. 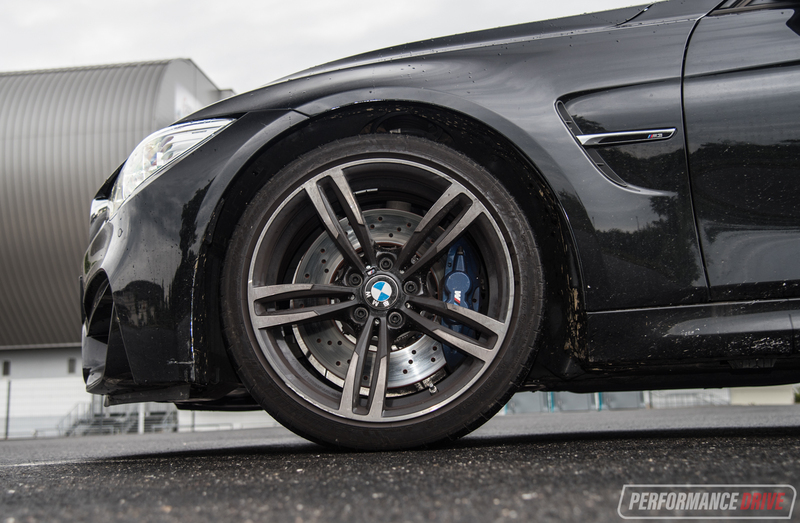 The 255/35 front and 275/35 rear Michelin Pilot Super Sport tyres (German specification) are very sticky, while the car’s high rigidity conveys instant feedback so you can fine-tune and make finger-tip adjustments along the way. The sense of driver inclusion is as high as it comes here – well, this side of a proper supercar. 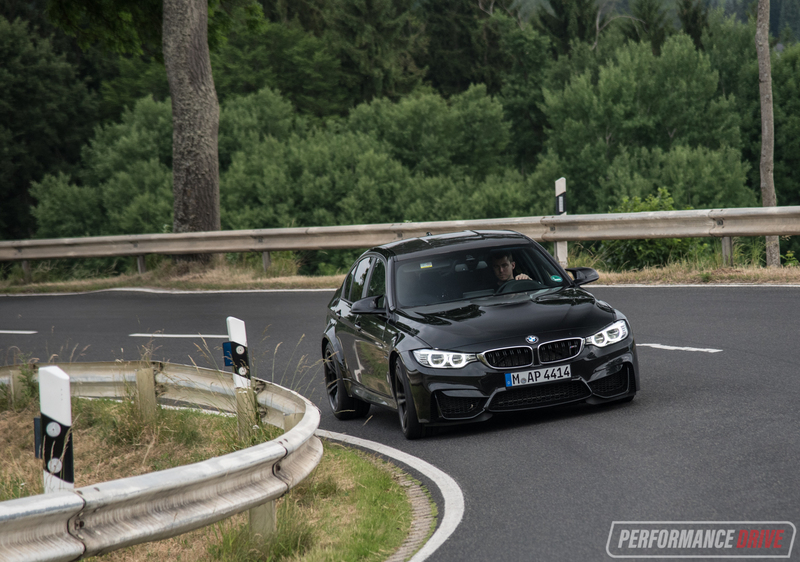 In our view, the steering feel specifically isn’t quite at the level of previous-gen M3s. 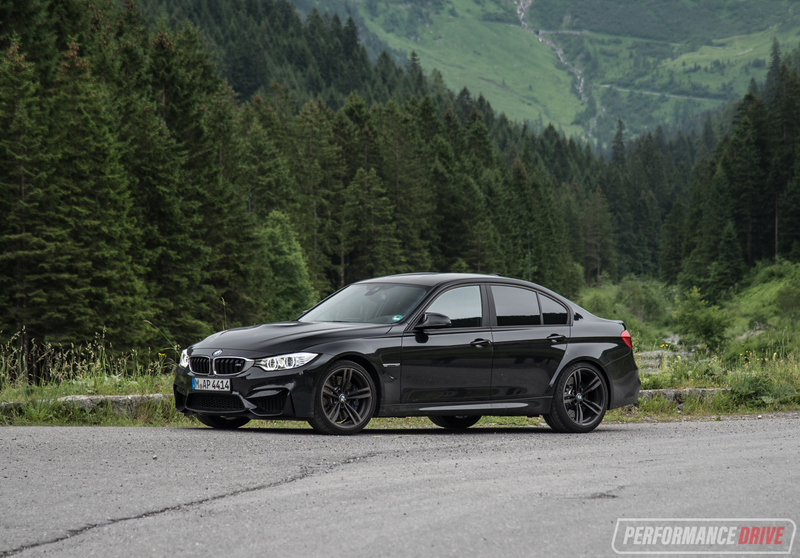 But it’s perfectly adequate for a premium sports sedan of today’s standards and it compares well against the rivals. There are three different modes too so you can find the right feel for you. We found the comfort setting to be the nicest, and Sport also good if you like a meatier setting. At the top the Sport Plus mode is quite heavy and some of the feel seems to be lost. Like the steering, the driver can select between a number of shifting modes. In the comfort mode it’s a pretty nice gearbox for a dual-clutch type. There is some sluggishness and rolling on hills, and some clunking going on when the car is cold. Switch it up to the racy mode and it snaps into gears violently, often causing wheelspin or chirping. We doubt any human being could possibly change gear quicker with a manual gearbox. But overall this means there are compromises. 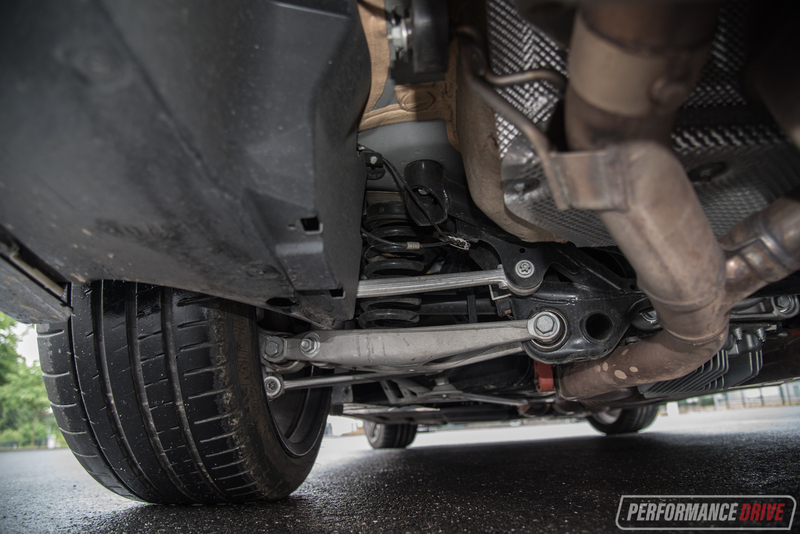 If you’re on a circuit or driving flat out, the transmission is absolutely perfect, responding immediately to your commands and wasting no time in forward momentum. As for the engine sound. This latest version doesn’t produce the aural, almost narrative, story-telling excitement of the previous-gen M3 soundtracks in our opinion. But, against today’s market it is a pretty sweet sound for a six-cylinder. 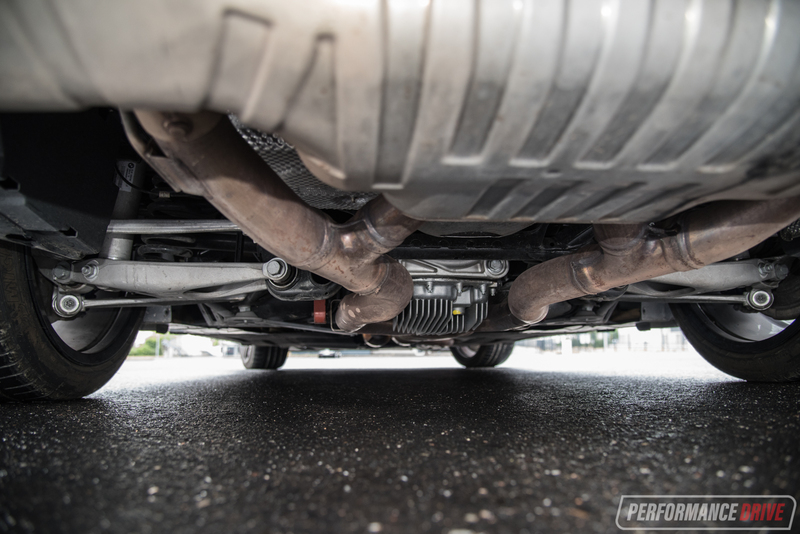 The sound is a lot better from the outside too, at the tailpipe, compared with in the cabin where there is some artificial noise being amplified through the speakers, annoyingly – why an M3 needs this is beyond us. Aside from these minor imperfections the M3 is pure joy to drive. It’s encouraging, willing, and highly skilled, and it certainly loves having a bit of fun and showing off. 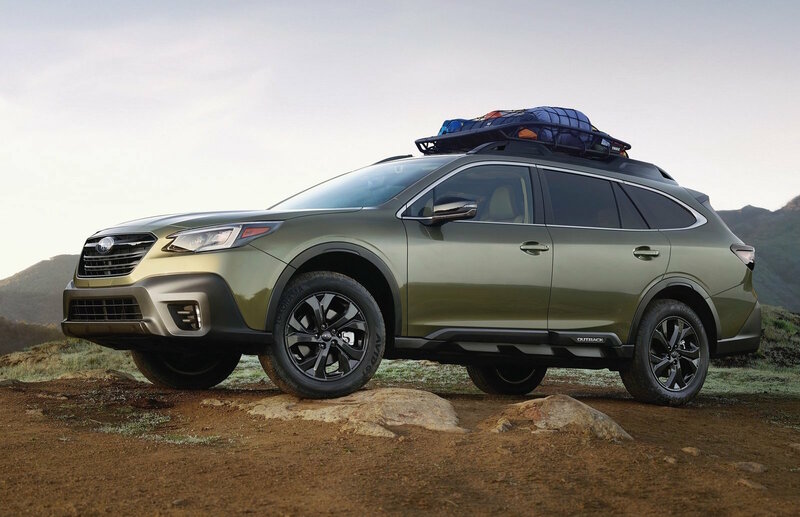 For example, nail the throttle off the mark with the stability control turned off and it will build speed quickly, losing traction in first gear from about the middle of the rev range. Pull the paddle shifter into second in the raciest mode and it will light up the rear tyres for all of second gear and then chirp into third. For the unskilled driver this can be hazardous. But for those who love this kind of thing, it is awesome fun. It’s a playful car with a big sense of humour. Speaking off straight-line acceleration, this engine feels like it produces a lot more than 317kW and 550Nm. Peak torque is available from just 1850rpm and it’s held until 5500rpm. This is the area that’s used most in daily driving conditions, meaning, it can be a very quick and rewarding car even if you’re not trying too hard. The engine uses two TwinPower, lag-free turbochargers, with double VANOS variable valve timing. For high-rpm fans, we’re afraid the redline is no longer near 8000rpm like it used to be. However, peak power is reached at 7300rpm, which is still very high by today’s standards, especially for a turbocharged engine. It likes being at high revs too. And it’s here where you’ll experience very impressive acceleration. Using our usual VBox Sport data logger we clocked a best 0-100km/h time of 4.58 seconds, with the launch control. Interestingly, the M3 is one of few two-wheel drive cars that we’ve tested where launch control is actually quicker than self-launching. 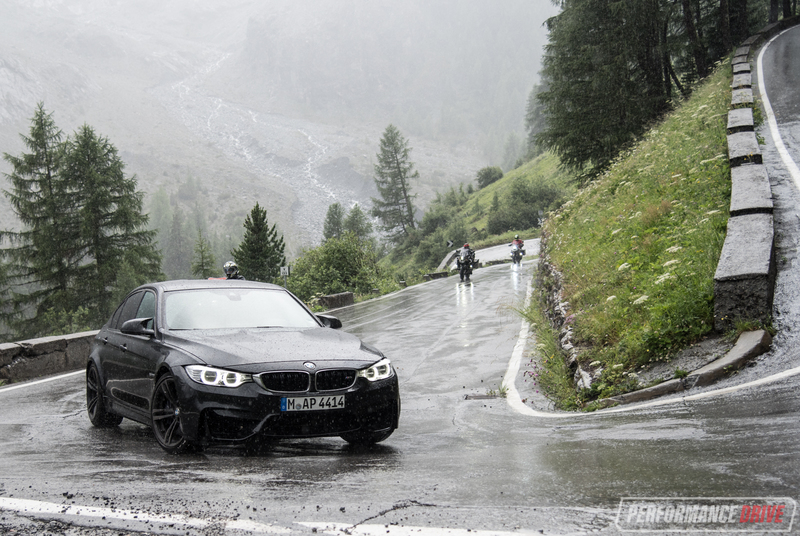 We ran around 10 tests, with tyres warm, hot, and smoking, but no test produced a time near the 4.1-second BMW claim. It’s probably worth mentioning our vehicle was rather thrashed and could have done with a fresh set of rubber. 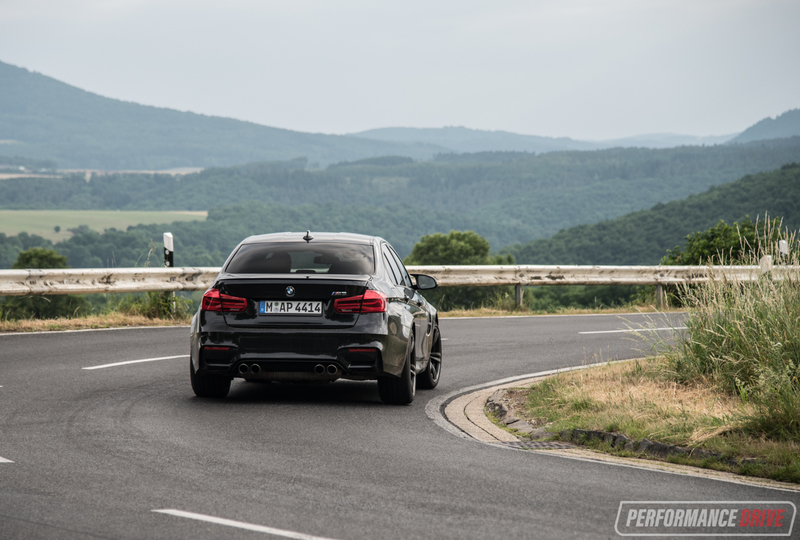 Though, M3s have never really been about 0-100km/h times. 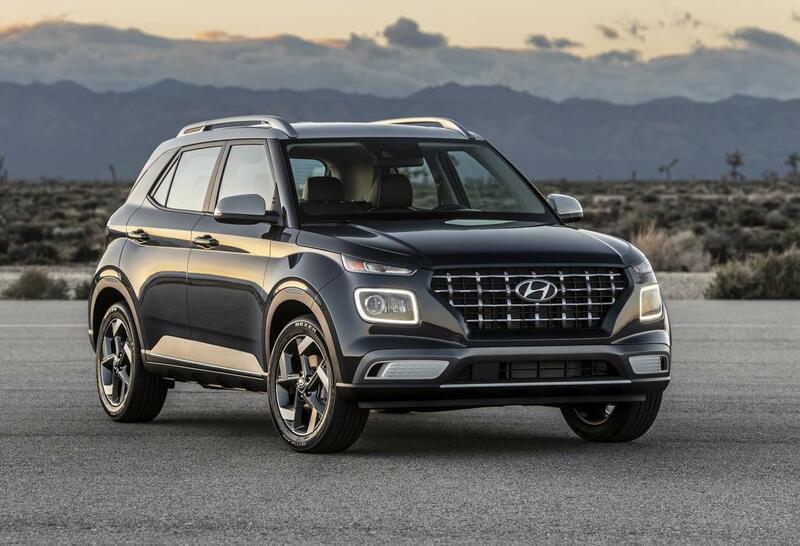 The in-gear acceleration is more its forte. 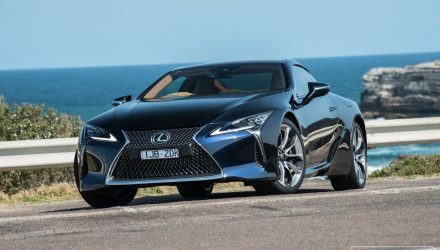 Across 60-110km/h it takes just 2.46 seconds, with the quarter mile coming up in an impressive 12.57 seconds at 191.9km/h. On the contrary, the 100-0km/h emergency stop required just 34.45 metres in our tests, and this is without the ceramic brake option. So, there is some sluggishness and rolling with the transmission in the town, and the engine sound isn’t all that exciting. Get this machine out onto the Nurburgring though and these little quibbles quickly get slammed back, like most of your internal organs. 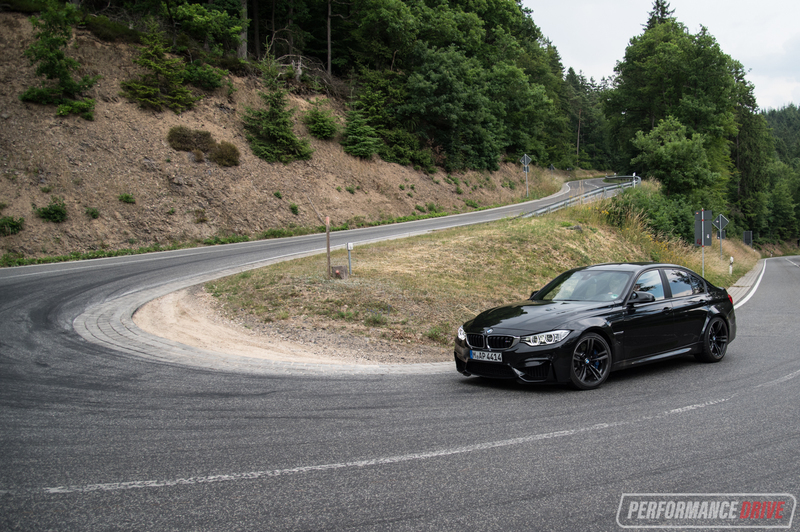 The level of commitment the M3 achieves around this circuit is phenomenal. And best yet, it’s not only when the tyres are gripping firmly. While some rivals can possess better grip, once the threshold is passed they can become sloppy and unpredictable. Not the M3. You can thrown this thing around, even at ridiculous speeds, and it still does what you tell it to do. Sliding at 140km/h and you need to change direction? That’s fine. Do it, and the car will respond. That’s what we like most about the M3 and why we have (well, this writer anyway) such an appreciation for it. 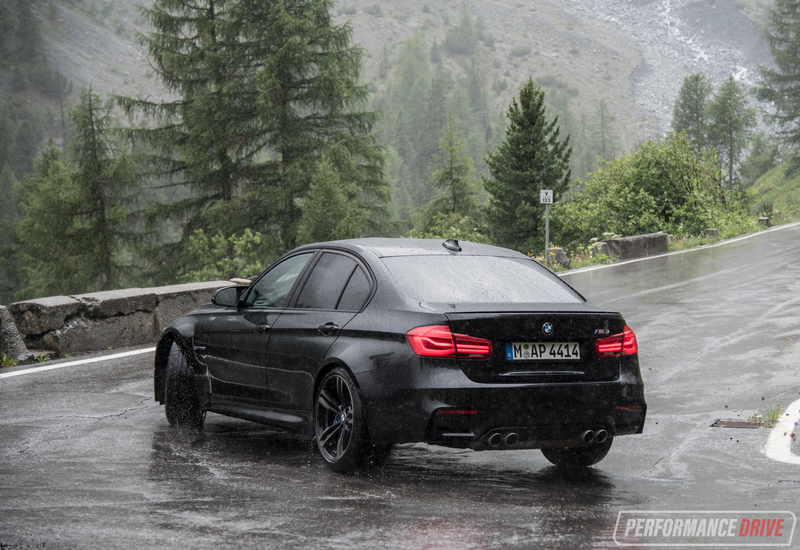 We’ve heard some criticisms about the M3’s tendency to drift and be a bit tail-happy in the corners. Yes, we agree it can be tail-happy if you’re on the gas too early. But it’s always controlled and very predictable in our opinion. 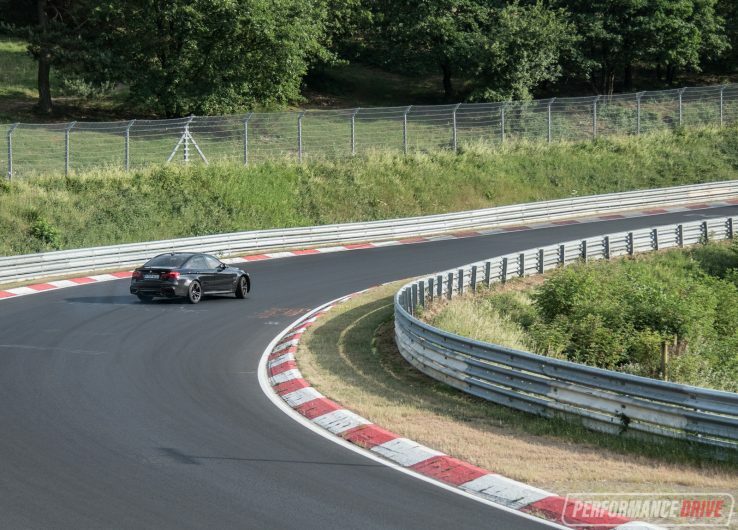 If you’re anticipating a drift you can pinpoint the front end right on the apex and carry a drift perfectly through the exit, with smoke churning from the rear tyres. Amazingly, it doesn’t waste away engine power and acceleration during wheelspin. Even while you’re powersliding the acceleration remains at a serious level. This allows you to build up big speed in between the corners. 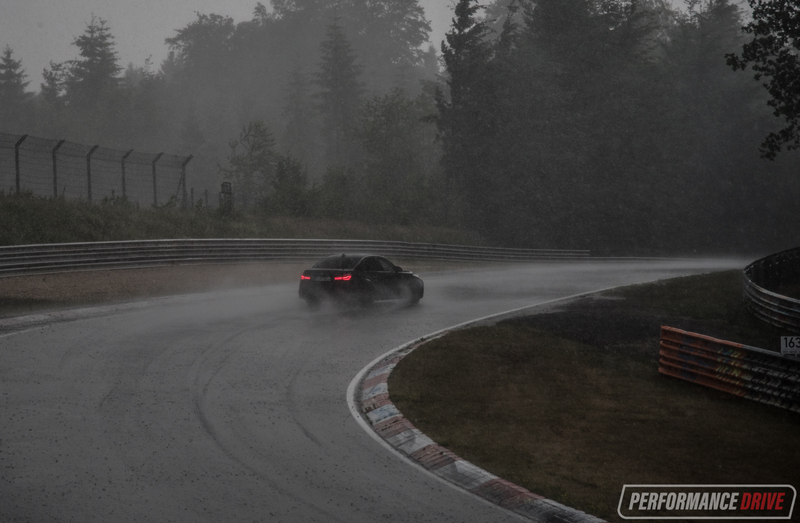 During our time on the Nurburgring we were able to experience the M3’s prowess in wet conditions too. The track is known for its changeable weather, and on one of our laps it absolutely pissed down. Even so, the M3 remained stable and relatively straight… if not for our childish encouragement for some tail-out antics. During our laps we did have to contend with a bit of traffic, and slow down for a crash (excuses, excuses), but we managed a best bridge-to-gantry lap of 8:21. 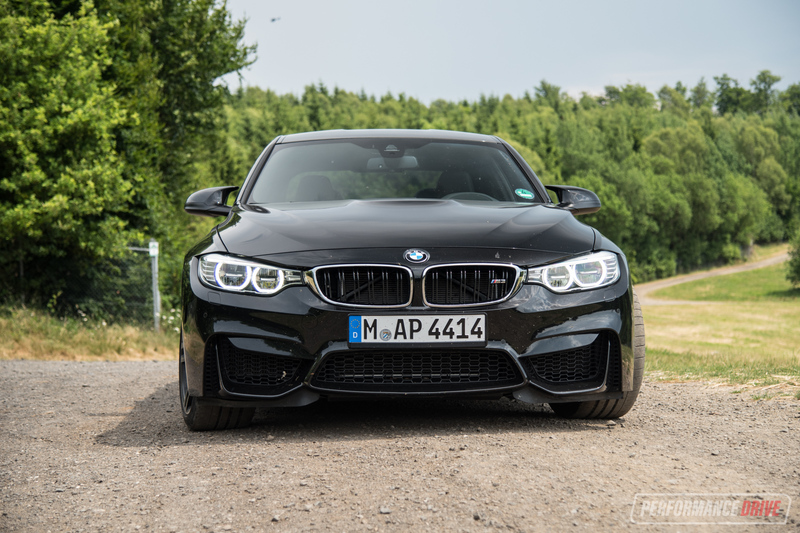 The M4 coupe version, which is essentially identical to the M3 aside from a slightly different front-to-rear weight distribution (M4 52.3:47.7 compared with the M3’s 51.9:48.1 [auto]) and slightly different kerb weight, has recorded a full lap in 7:52. 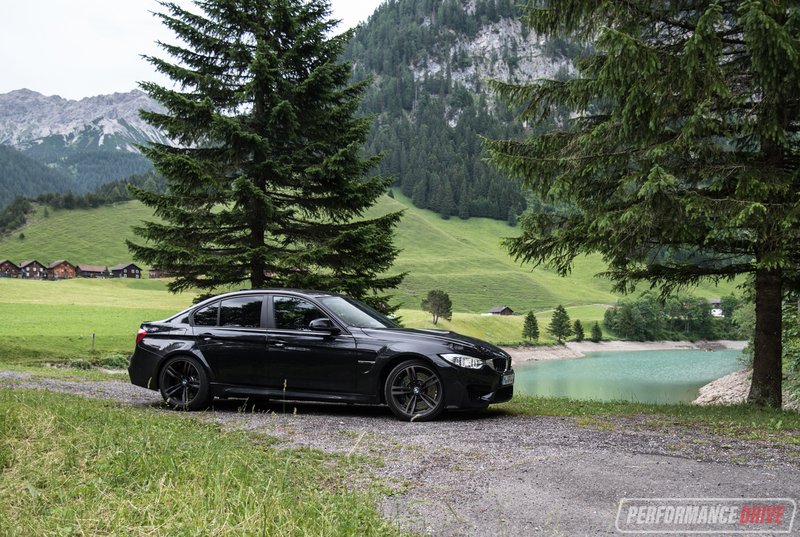 This isn’t the quickest for a production mid-size sedan – that goes to the 375kW Alfa Romeo Giulia QV – but the F90 series M3 has been around now since 2014. We’re looking forward to seeing what the next-gen version can do. 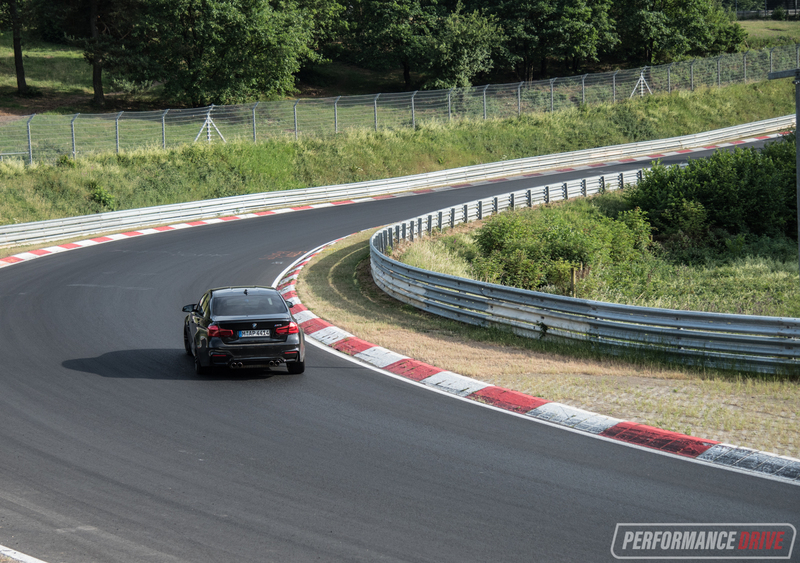 Check out our Nurburgring lap video below for a bit of an idea of its real-world performance and handling. The Stelvio Pass is located on the border between Switzerland and Italy, feeding into northern Italy. 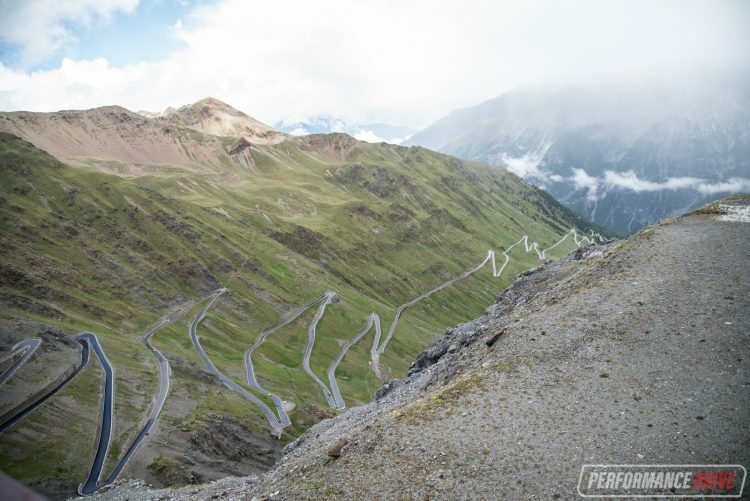 It’s a famous road for many cycling enthusiasts, but it’s perhaps better known to car fans thanks to its inclusion in an early Top Gear episode. 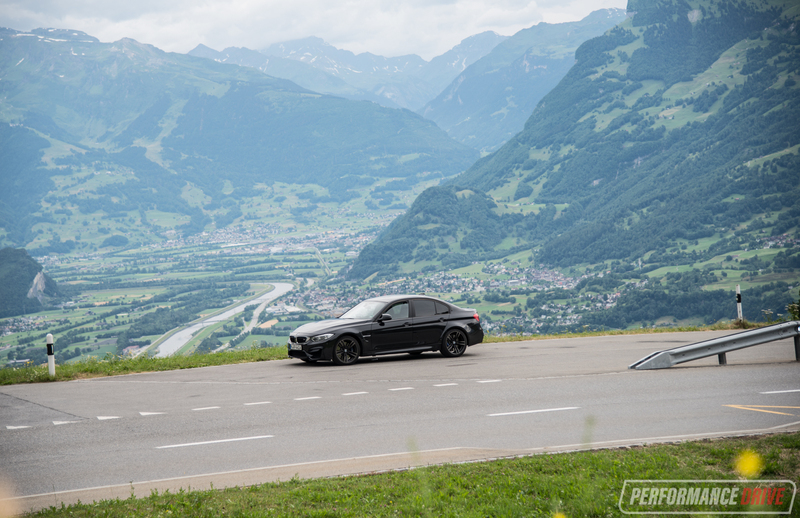 We travelled down from Liechtenstein to see what all the fuss is about and to pitch the M3 into the ultimate of hairpin tests. 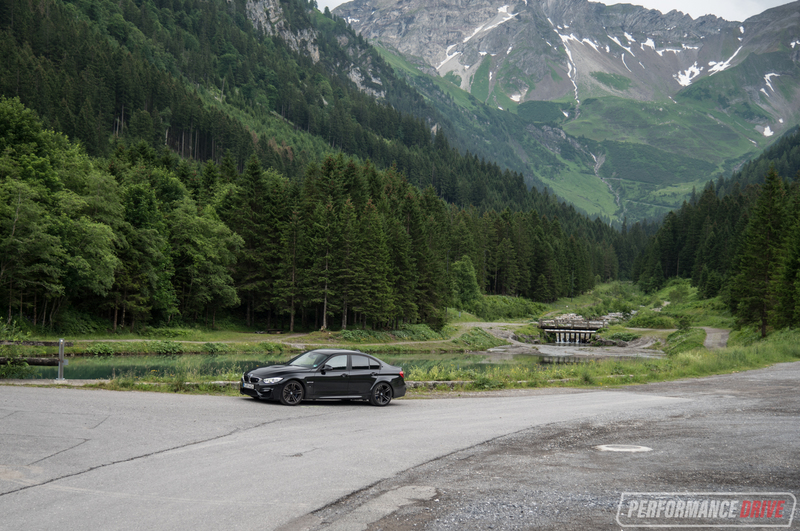 Approaching the pass from the north side takes you up some simply stunning mountain roads in Switzerland. 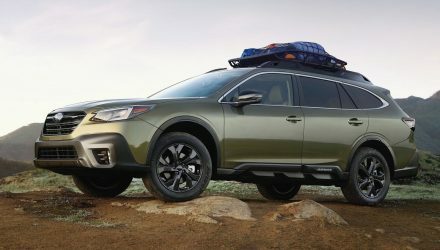 There are a mix of long sweepers and tighter switchbacks, all combining for an amazing, multi-tempo driving experience. Swiss roads are very consistent, with excellent tarmac surfacing so there are rarely surprise elements to put you off. Actually, the steep cliffs can be both surreal and a little scary. At the top of the pass, or the start of the most-recogised squiggly bit, there was a little snow capping the peaks and a bit floating in the air, with temperatures around 1-2 degrees. And this is summer. Cyclists seem to be born with extra thick skin or something as we saw hordes of them riding up in bike shorts and t-shirts. There are some souvenir shops and some places to grab a quick coffee at the top before you set off. 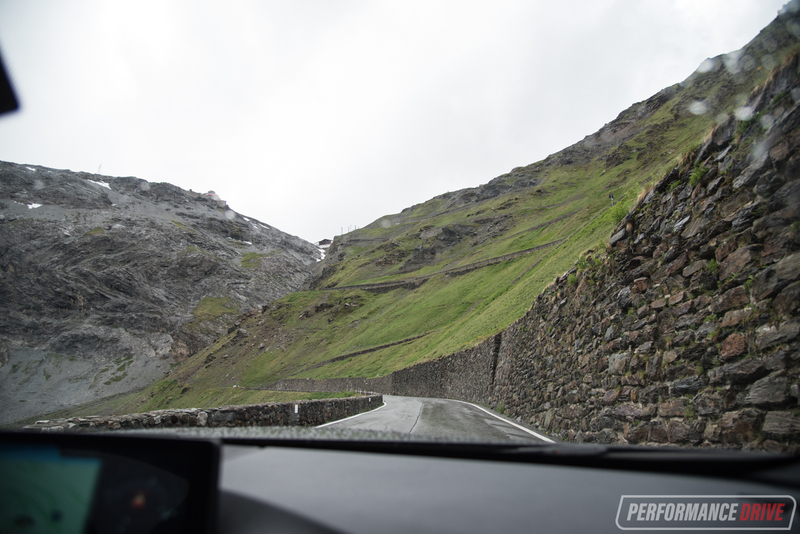 Taking on the million hairpins seems like a lot of fun when you look at it all in photos. But in reality, the repeatedly tight corners offer very low visibility, which means you have to slow right down and bend your neck to make sure there are no tourist buses sweeping around. It’s still exciting, but probably not the kind of excitement you might have expected. The view, though, is spectacular. It feels like you’re on another planet and we definitely recommend you do this road if you get the chance. Even if it’s for the roads leading up to the peak of the pass. PS. We were going to put together a video for you driving down the pass. But with the level of traffic and sheer unpredictability on each bend, and the slow speeds at which we had to go, it just wouldn’t have been entertaining to watch. 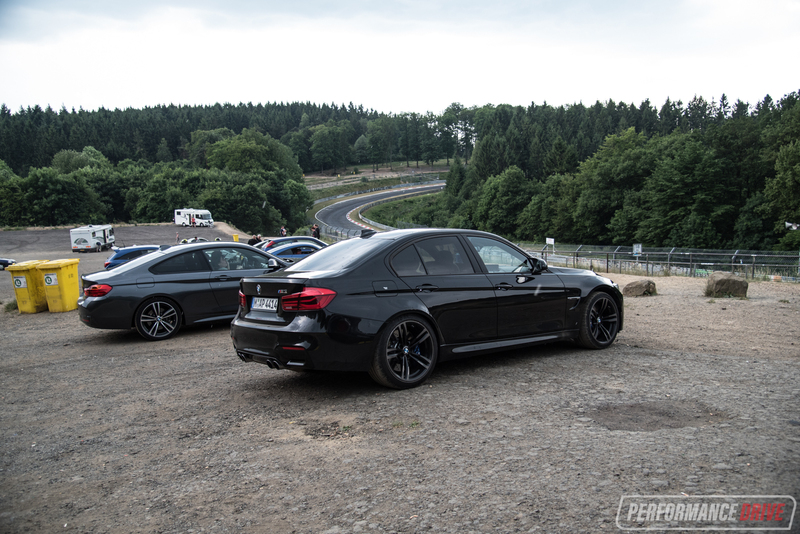 Our test was an epic journey and we couldn’t have imagined doing it in a better sedan. 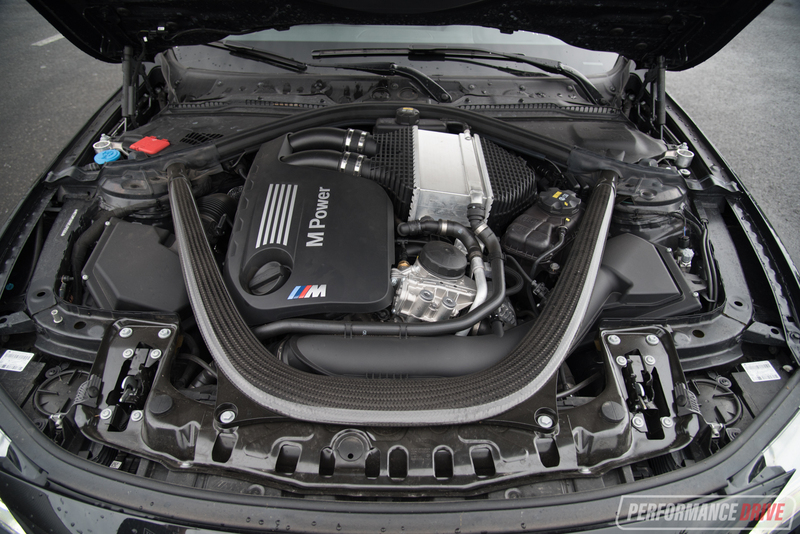 The latest M3 is a skilled, experienced, and wise machine. It carries through plenty of BMW’s prestige and practicality inside, with good grand touring comfort, and it looks pretty fat, especially in black. But best of all it’s a real driver’s companion.